Now, as America marks the tenth anniversary of the tragic attacks that have changed the nation forever, Zman has contacted a former CIA officer who played a critical role in the war against terror. This officer has spent a large chunk of his career inside a secret CIA prison, where he was even the lead investigator overseeing the imprisonment of nearly 20 captured Al Qaeda members high on the list of the CIA’s most-wanted. His name is Glenn Carle. He is the type of character one would read about in books, mostly novels, but would never dream of meeting in real life. Until the day of the September 11 attacks, Carle’s expertise lay in intelligence gathering. For most of his career, he was a clandestine operations officer, or, in layman’s terms, a spy. He was a secret agent who would travel around the world on missions for the US, recruiting other spies, organizing operations, etc. More than once, his missions required him to risk his own life. I was a spy. I broke laws. I stole. I lied every day, about almost everything: to my family, to my friends, to my colleagues, to everyone around me. I almost never was who I said I was, or did what I claimed to be doing. Sometimes I was not American. I exploited people’s deepest hopes, won their deepest trust, so that they provided me what my government wanted. I was an angel who made men’s dreams come true, but my name was Faust. I healed a father’s desperately ill child, helped a frustrated employee do in his boss, or the organization that slighted him. Sometimes I was a revolutionary, nodding my head as some worked to overthrow oppressive governments; sometimes I sympathized with racists; sometimes I suppressed insurgents. I bounced around mines in a jeep, carried a weapon, wore a keffiyah over my face to conceal my identity and offer a less obvious Western target to snipers, and almost got shot. Some were ruined from what I did. Some were saved; others died. Few of the living, and none of the dead, knew I had anything to do with their fates. I was faceless, all-powerful, and omnipotent: I was unknown but could destroy people’s lives or cause an international scandal, and yet often I could not even control minor details of my daily life. I paid people off. I deluded men and convinced them they were acting against the United States, or one of their personal enemies, when in fact they were serving me and my country, so that we could undermine the causes in which they believed. 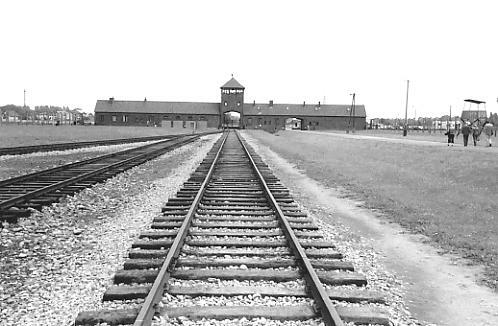 I made it possible for American children to sleep safe at night, and for American adults to ignore that I existed or to disdain or hate me, and to forget or never learn that the world was full of men and forces that would harm or destroy them, and our way of life. It is particularly thrilling to meet with a man who has conducted spy missions so intriguing that he cannot talk about them. Though he is already retired, Carle is still legally bound by CIA regulations to remain mum about sensitive information he is privy too, including information that has already been leaked to the public, both through the CIA itself, or through its enemies. During our conversation with him, it was obvious that Mr. Carle was speaking very guardedly, taking great care not to inadvertently let slip any information that would reveal any the CIA’s espionage activities or its interrogation techniques of terror suspects. Nevertheless, we sat glued to our seats in suspense as Glenn regaled us with fascinating details aboutAmerica’s war on terror. The CIA veteran allowed us a glimpse deep inside the secret corridors of CIA facilities all over the world, taking us as far as he safely could without compromisingAmerica’s security, or violating any CIA regulations even if he disagrees with them. Glenn Carle was born and raised in Brookline, Massachusetts, a suburb in Boston where approximately 70% of the residents were Jewish. He has very fond memories of his childhood and recounts his admiration and respect for the local Jewish population. Because of their majority status in Brookline, Carle came into frequent contact with Jews. 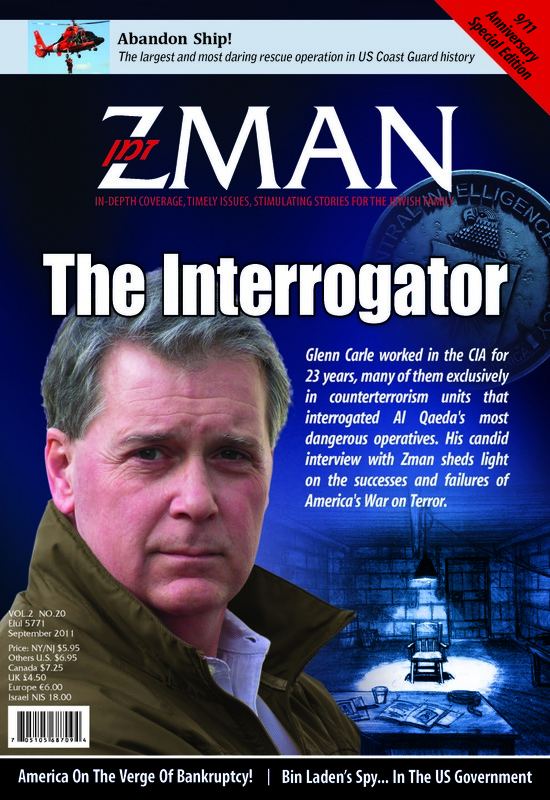 This entry was posted in Zman Magazine and tagged CIA, Glenn Carle, Zman.